These Valentine’s Day Candy Heart Math & More activities are the perfect conversation heart math activities for kindergarten, pre-k and preschool! 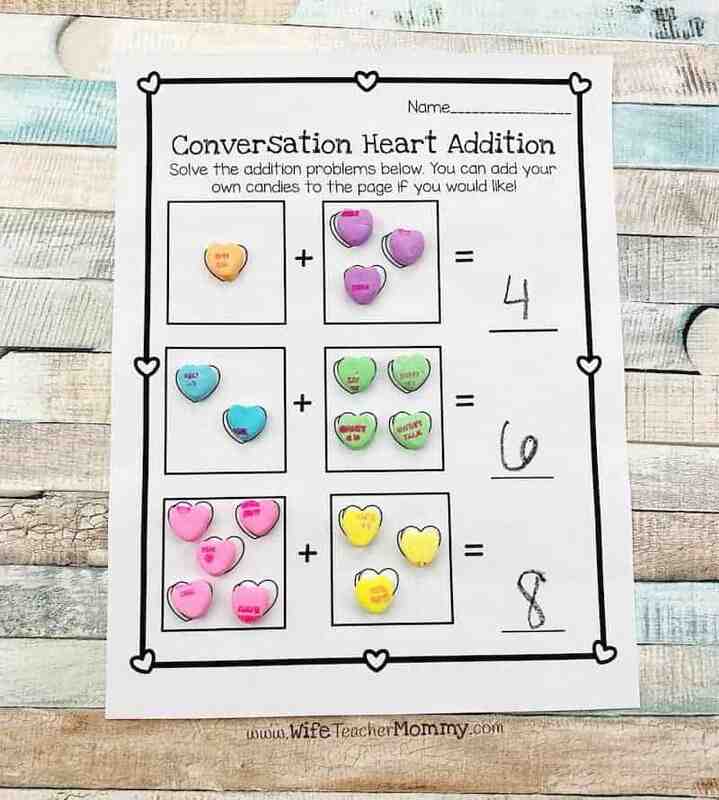 They can be to be used throughout the month, for whole group instruction or Valentine math centers. 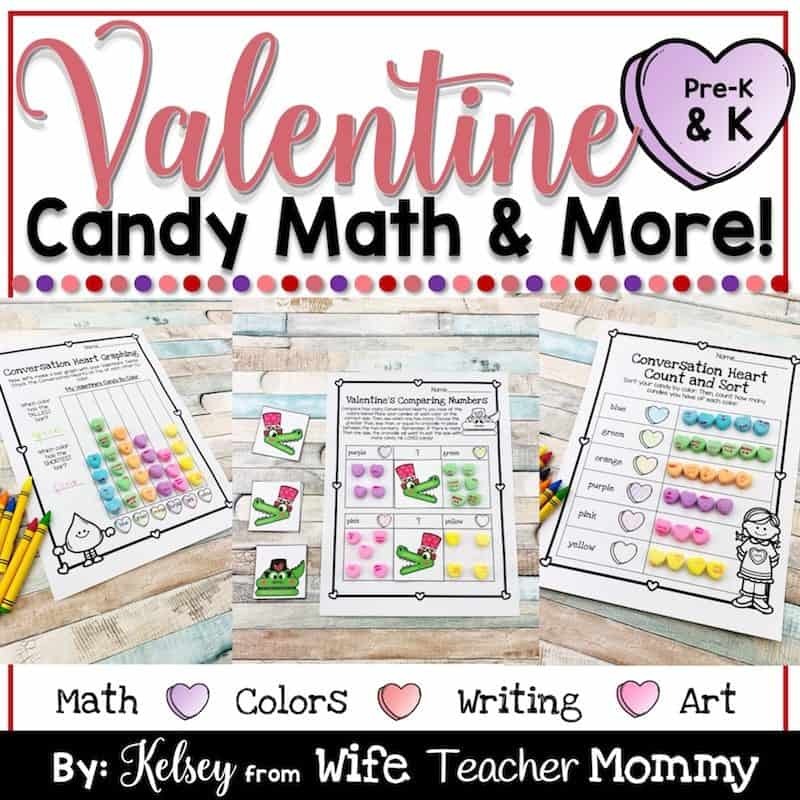 They would even work for a fun and educational Valentine’s Day party! 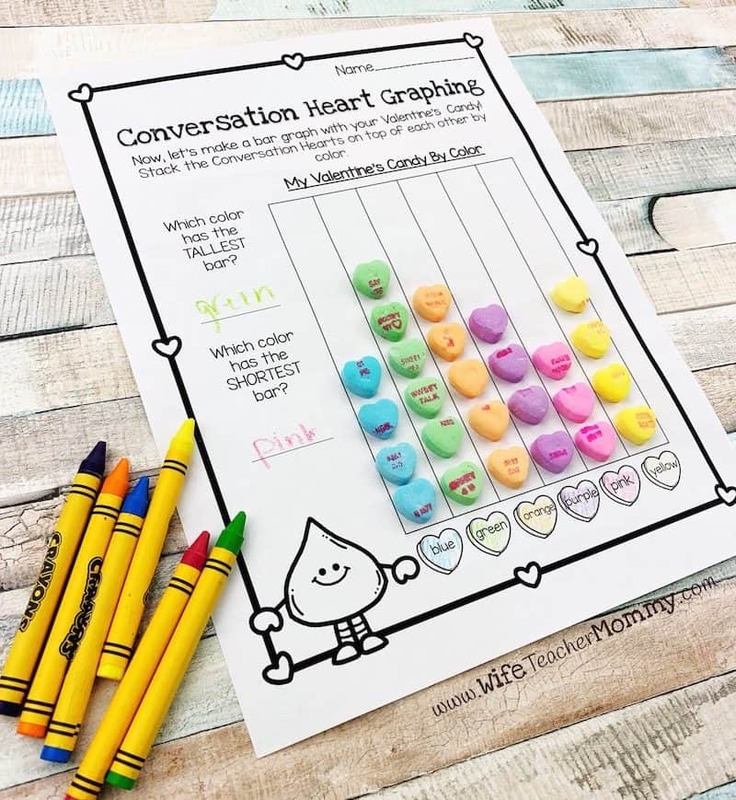 They are a fun and engaging way to get your students practicing their math, colors, writing, and art skills using candy hearts. 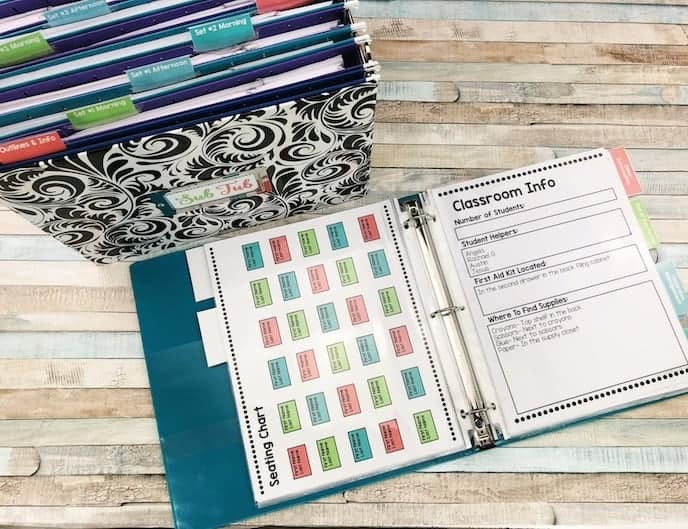 Color and black and white options are both included for each worksheet in each document. 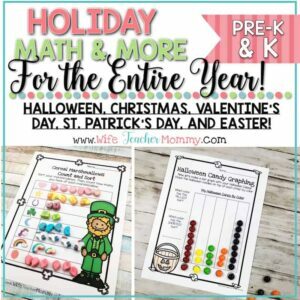 ➡️GET THE MOST BANG FOR YOUR BUCK WITH THE HOLIDAY MATH & MORE GROWING BUNDLE! 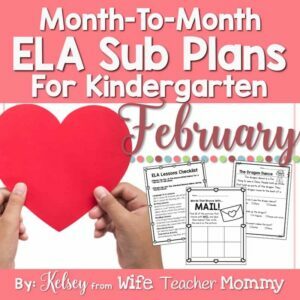 ⬅️You’ll receive these activities, plus all of the other holidays, at a HUGE discount! 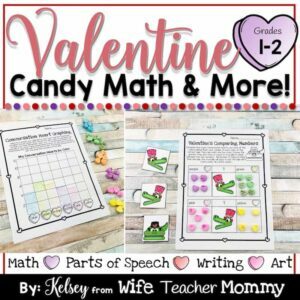 Available for other grade levels as well! 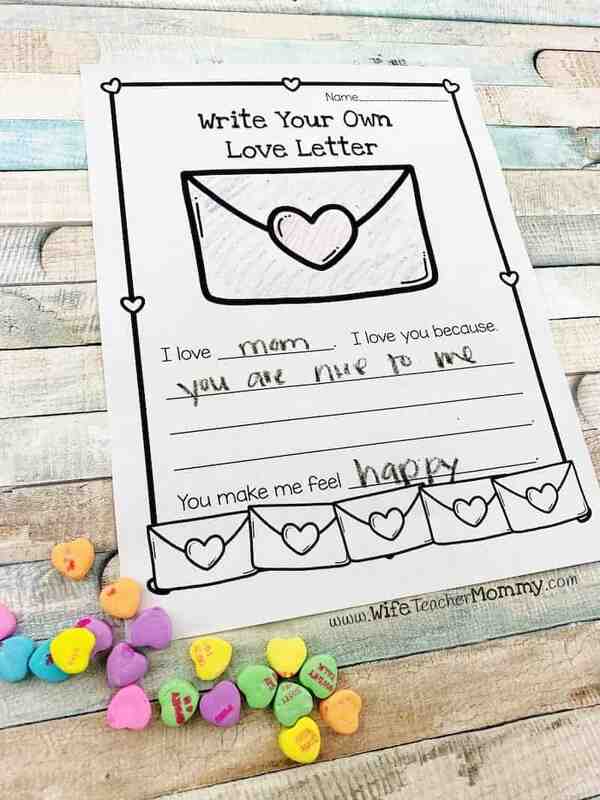 Scroll down to the related products. 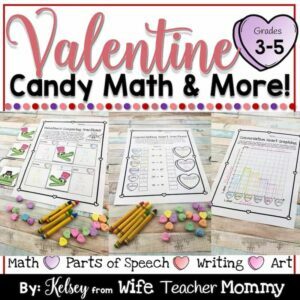 By purchasing this resource, you will have access to it on your account for as long as the website is around! 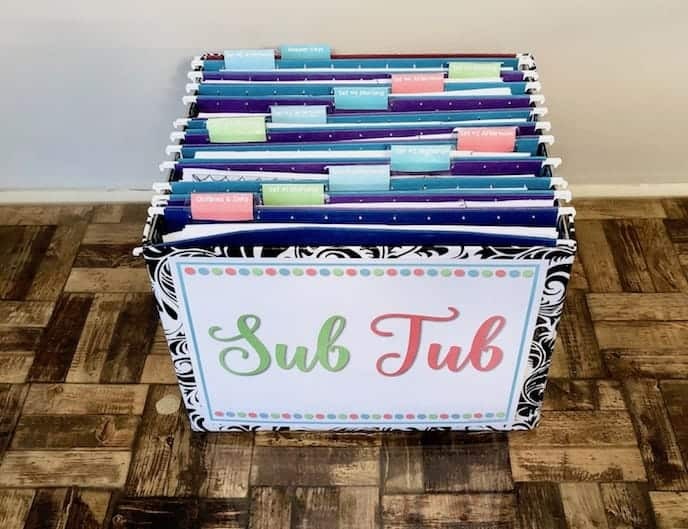 We do not limit how many times you can download and access your resource. Computer crashed? Not a problem! Just log into your account and download it again.